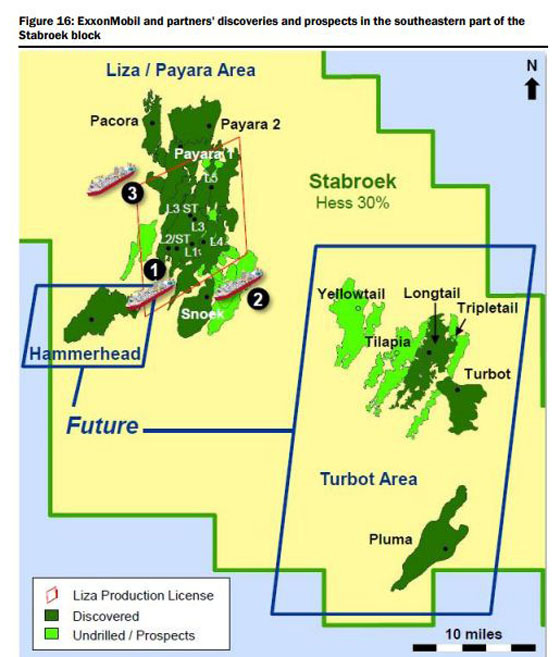 2019 is expected to be a most active year for offshore Guyana as approximately 14 exploration and appraisal wells will be drilled. This is according to a report that was produced by Financial Analyst, Jenny Xenos, of Canaccord Genuity Corporation which is based in Canada. Canaccord Genuity is a boutique investment banking firm that offers financial advisory services. The firm provides initial public offering, private placement, financial restructuring, fund raising, and mergers and acquisitions advisory services. It caters to metals and mining, energy, technology, financial, real estate, and healthcare sectors. In an Industry Update report, the author stated that up to nine wells will be drilled on the prolific Stabroek Block, two of which are currently being drilled. The Stabroek Block is operated by ExxonMobil’s subsidiary, Esso Exploration and Production Guyana Limited (EEPGL), Hess and CNOOC. 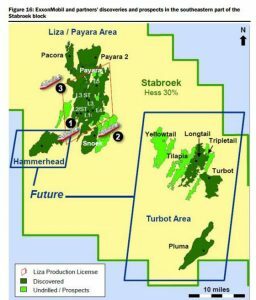 Furthermore, two wells are slated for drilling on the Orinduik Block, which is under the licensed control of Tullow Oil, Total and Eco Atlantic. One well is planned for the Kanuku Block by Repsol and Tullow Oil. The Corentyne Block also has one well planned for drilling by its operators CGX and Frontera Energy. The Canje Block will also see one well being drilled by ExxonMobil, Total JHI and Mid-Atlantic. She added that much of ExxonMobil and partners’ activities will be focused in the southeastern part of the Stabroek Block. She said, too, that ExxonMobil has not released the schedule for its 2019 drilling programme.